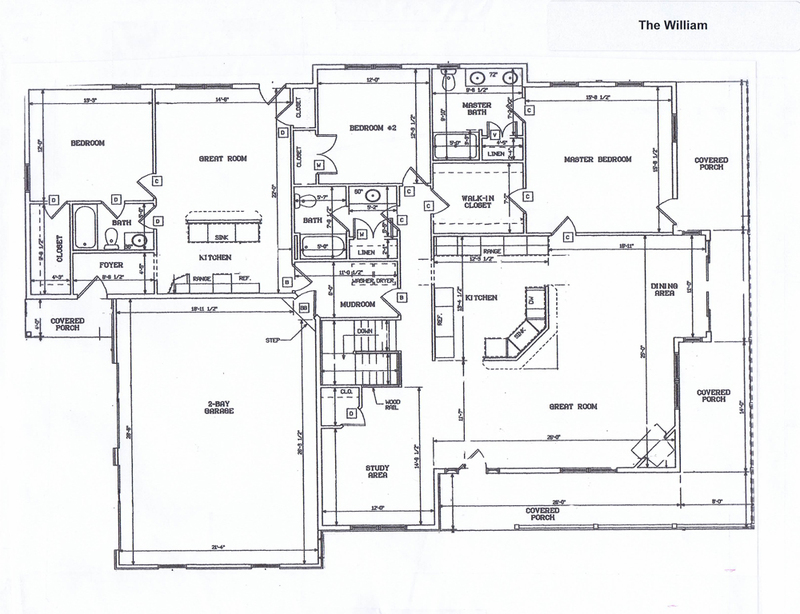 The William is an open floorplan with a great room, kitchen and dining area. 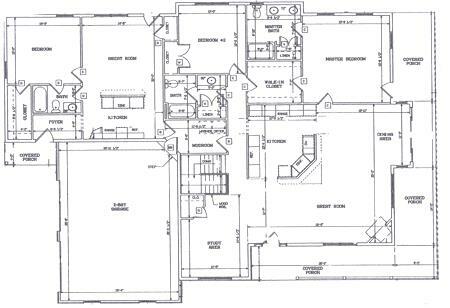 It includes a study, mudroom/laundry room, 3 full baths, a master bedroom, guest bedroom and a complete in-law suite. The in-law suite offers its own kitchen, great room, bedroom, bath, and entry from a separate porch. A special feature is a large covered porch on the front and the entire side of the house.